pharmacokinetics and field evaluations of these drugs have revealed that their effectiveness can be improved and their safety increased. 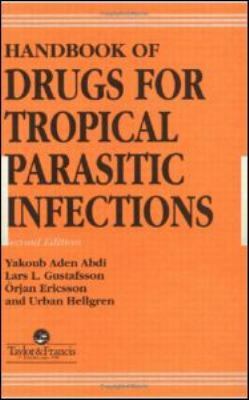 ; This handbook is designed to provide information about the pharmacological properties and therapeutic uses of the major drugs currently employed to combat the human parasitic infections encountered inthe tropics. Each of the 38 drugs covered in the book are presented under the following headings: chemical structure, physical properties, pharmacology and mechanism of action, pharmacokinetics, clinical trials, pregnancy and lactation, side effects, contraindications and precautions, dosage, preparations, and references.